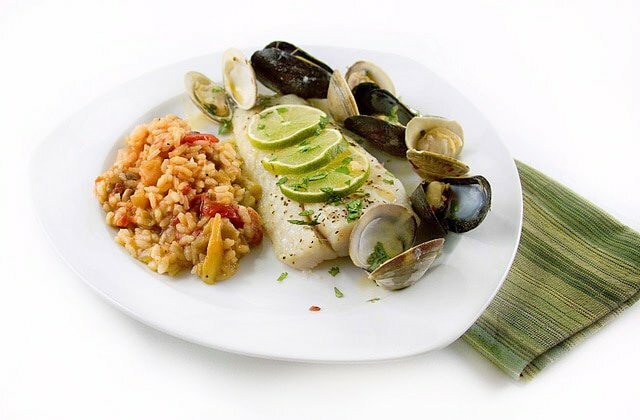 Corvina is the perfect fish for summertime,lightly seasoned and served with lime. Enjoy my tomato risotto as a side dish! If you’ve never heard of Corvina its a type of either drumfish or croaker, and this variety is found in the waters off of Central America. Don’t worry it is not the endangered variety. Corvina has a pink flesh that cooks up white and is a favorite of locals in those areas for making Ceviche. I try to stick with my basic cooking techniques for most fish that I cook, but I think, in this case, the Corvina would have been better pan fried (even blackened), it had the texture that would have made it a wonderful fried fish sandwich! Pan roasting this fish is a great way to prepare it. It goes well with a garlic or lemon sauce. 1/2 one small onion finely diced. 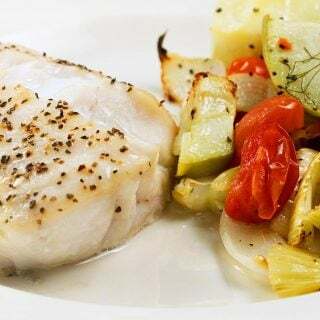 Coat corvina with olive oil and season with sea salt and black pepper, roast for about 20 minutes or until flesh of fish seems firm to the touch. in a sauté pan add chopped garlic and olive oil, add clams and mussels. 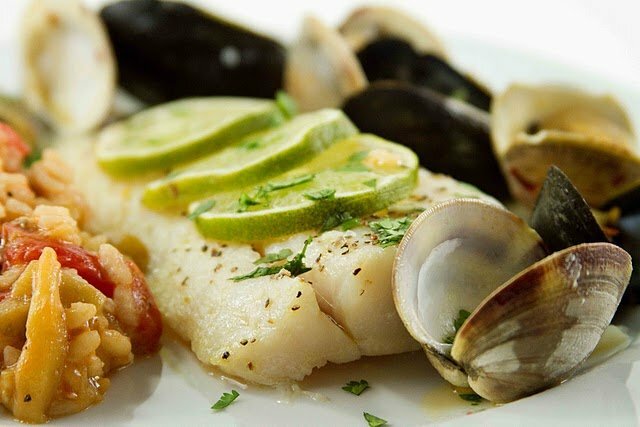 Before serving reheat mussels and clams , serve next to corvina on plate and use juice from the sauté pan on the corvina. Top with lime slices and chopped cilantro. 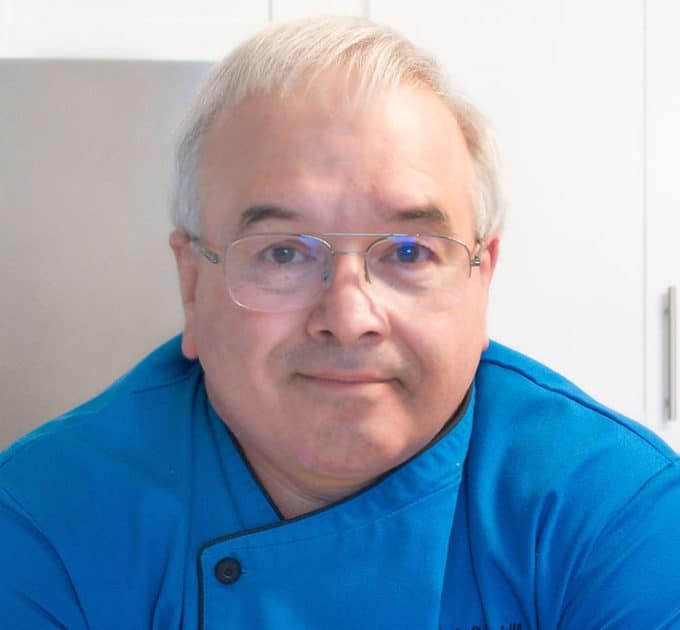 In a small saucepan add the chopped onion with your butter and olive oil, Saute briefly and then add in the rice, continue to sauté for about 5 minutes until risotto grains are a little toasted. Then begin adding in stock one cup at a time over medium heat stirring occasionally. A Nice recipe too, simple and elegant. I adore food from Vera Cruz Mexico. Corvina is delicious, perfect for ceviche. We ate lots of it in Brazil. I think Corvina is the Portuguese/Spanish name for Sea Bass. I like the fish, but love the tomato risotto. I need to try it. My goodness this looks extremely good! I've never even heard of that kind of fish. And tomato risotto??? YUM! Good grief Dennis – you've been busy! I had no idea I'd miss so much on your blog! I don't know if I've ever had Corvina but now I really want to! Perfectly cooked fish is a joy to eat and yours does look lovely! 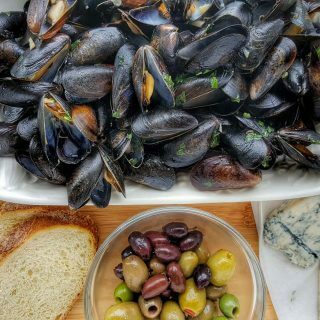 I dearly love mussels and that tomato risotto is just begging to be made! Oh, yeah. That looks the business. Really meaty and juicy, with some wonderful foils around it. Mmm-mmm. Congratulations on being #1 of 9 today! Beautiful fish, too, looks delicious, as well as the tomato risotto. Thanks again for all your wonderful posts and tips! Beautiful presentation Dennis! I've been having fish 3 days in a row now oops! Cannot wait to try the tomato risotto. Looks amazing! What a great dish! looks and sounds absolutely delicious! Congrats on being #1 – and thanks for your comment on my martini cookies. I really enjoy your posts. very pretty. i admire your courage in trying new things, and i love your use of limes! Both the fish and the risotto look scrumptious! I've never tried Corvina, but love Cerviche, so I'm always up for something new to try. Thanks for the great recipes! Looks so good! I've been craving fish lately, too. Congrats on the Top 9! Corvina is sometimes passed off as the more expensive fish "grouper" in restaurants down here in Florida. Obviously reputable establishments don't do this and this practice is being cracked down on lately. You Corvina looks to be an absolutely delightful dish! You always come through! Oh that fish looks lovely. I'm very intrigued by the tomato risotto. this looks really great. I hardly get around to making seafood anymore. I spent half of my childhood in Maine and now live in the mountains where seafood isn't so hot. I always try to pick things up now and then but they never taste fresh enough. 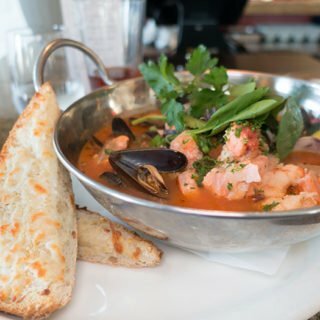 I might have to venture out to a new fish market for this recipe it looks so enticing! What a beautiful presentation, as always I must say! Lovely dish! Everything about it is perfect. Definitely inspiring. Never heard of your special fish. Last night I cooked pickerel. 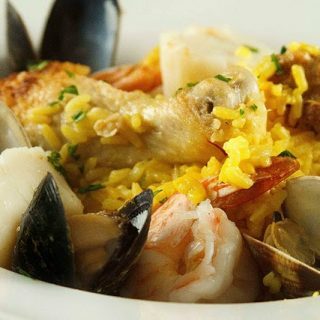 It a fresh lake fish is very popular in our area and hard to beat.You risotto hs me very interested. As usual chef Dennis crowd pleasing dish, best part is having 5* experience at home. Love the presentation and the information about the fish. Gorgeous pic! I love the depth of field in this one. I've never heard of Corvina either, but I am a big fan of blackened fish. I will keep my eye out for it and my blackening spice handy! Thanks for the introduction. Whoa! As soon as I saw this picture I knew this would be good! The pictures are just gorgeous and that meal sounds fantastic! Definitely makes me want to find some Corvina soon! Congratulations on another Top 9 for your beautiful photo! the dish looks so gorgeous on the fb main page – well done! 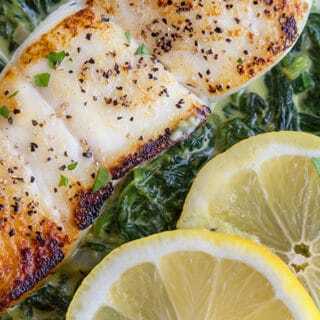 i think you may just change my mind about eating fish with all of your delicious recipes! I saw Corvina in Wegmans too, need to pick it up and try it for sure, beautiful preparation, excellent! As soon as I saw this on the Top 9, I knew it was yours! This looks amazing!! I am on the same quest as you, so thanks for a new fish recipe and fish type!! 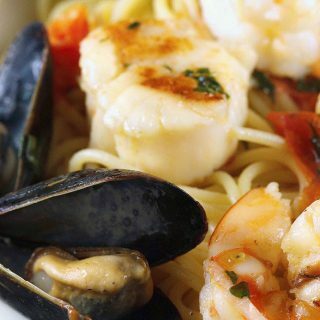 The fish and clams look amazing. I've had Corvina before and I use it in fish tacos. I'm glad to hear that you're trying to eat more fish. I love fish and I'm glad that my local Asian market sells all sorts of fish, whole, fillet, etc. Congrats, Dennis, on making the Top 9 with your beautiful Corvina Vera Cruz!